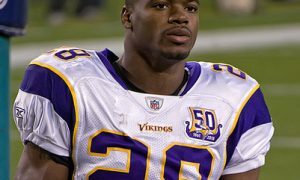 Adrian Peterson‘s move to the New Orleans Saints from Minnesota Vikings was something many of us never saw coming. It’s been 5 months already and the former Vikings running back is still adjusting in his new team. So, the question on everyone’s lips is why Peterson opted to sign with his present team; of all the teams in the NFL, why the Saints? It seems odd-joining a team that does not go with his style of play. Many supporters still find it hard to believe that he ignored teams like Seahawks and Raiders for New Orleans. Not to mention the fact that he had initially shown interest in joining either of these two teams. Although, the Saints do have some similarities with his former club, their style of play is different. For instance, the pass-happy approach adopted by the team; not to mention the new blocking schemes which Peterson is not used to. More importantly, the environment and the guys are new, as well as the language. It does look like a lot for the 32 year old. Interesting, he doesn’t look like he’s feeling any of it at the moment. Instead, he seems to be adjusting really well to the new club. And from every indication, he doesn’t sound like someone who is having a hard time. To crown it all, his reviews so far have been nothing less than positive. According to the Saints head coach Sean Payton and running backs coach, Joel Thomas, Peterson has been able to put up an impressive performance so far. He does seem to be settling in well. Though it’s still a little too early to decide, the running back might just turn out to be a great fit for the Saints. The move might not be bad after all. Recently, he made it clear that the guys have been really nice and he’s already getting comfortable. He is optimistic the move was the right one for him and hopes things will work out. In the event that Peterson succeeds at his current club, it will definitely not be one sided. He has the opportunity of perching on the feathers of one the best quarterbacks in the world, Drew Brees. Who knows – this might just the perfect time to leverage on one of his underused talents, which is the ability to capture the ball behind the defensive line. Though it sounds ironic, Peterson failure to catch the ball out of the defensive line is not because he lacks the ability. But merely out of constraint; a situation he will definitely not face in New Orleans, considering the presence of Drew Brees. Having spent almost a decade with the Vikings, Peterson has played alongside some very few big numbers. 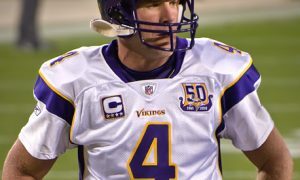 Most notable is Favre who is undoubtedly one of the best quarterbacks to have ever come out of the NFL. You can guess what happens when you have someone like Peterson and Favre playing together; it’s usually terrifying for the opposition. This was exactly what happened during those two years Peterson played with the famous quarterback in 2009 and 2010 seasons. With 43 passes in 2009 and 36 passes caught in 2010, it is obvious that the 32 year old was in his elements. Not to mention the fact that these passes were caught far beyond 300 yards-a feat he never attained playing alongside the likes of Jackson, Bradford and McNabb, amongst others. No doubt, those two years were definitely the best period of his career in Minnesota. Luckily, the 32 year old can smile to better days in New Orleans. With a Hall of Fame calibre like Drew Brees playing with him, Peterson certainly has a better chance at becoming a weapon behind the defensive line. No doubt, Favre is good, but Brees is arguably better as far as NFL is concerned, and this is definitely going to make the difference. The running back himself is aware of this and will be looking on capitalizing on the opportunity. It might just turn out to be the best receiving season of his illustrious career. Unlike most of the quarterbacks, Peterson has played with, Brees is definitely going to be getting more of the ball across to him at the backside. This means he can start catching behind the line. Many of his supporters will hope that he will start dominating again after having a rough season last year. 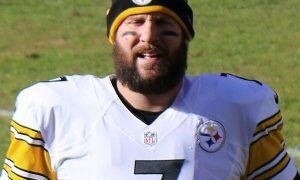 No thanks to a knee injury that kept him out for some time and playing beside a less prolific quarterback when he was fielded. What’s in for the Saints? Saints also have a lot to benefit from fielding Peterson this season. As long as there are no injuries, the presence of the 32 year old in the backfield will certainly make the team even more offensive than they were last season. This will undoubtedly make the Saints a force to reckon with. Peterson will be hoping to be on the receiving end catching passes on every down and maybe, out of the backfield. Of course, this doesn’t mean he will be turning into Le’Veon Bell or David Johnson sooner. But it will definitely be a good start. Brees will hopefully be there to thwart any run made by the opposing side. And should the opposing defense try to slow down Brees, Peterson will be there to open up more yardage with his aggressive style. The combination of the duo will definitely prove to be destructive to many defenses. The presence of Mark Ingram also means Peterson won’t be carrying all the load. This way he can take a rest anytime, knowing that he’s not leaving his offense without a good receiver. In the end, Peterson might just be the hope for Drew Brees and the New Orleans.